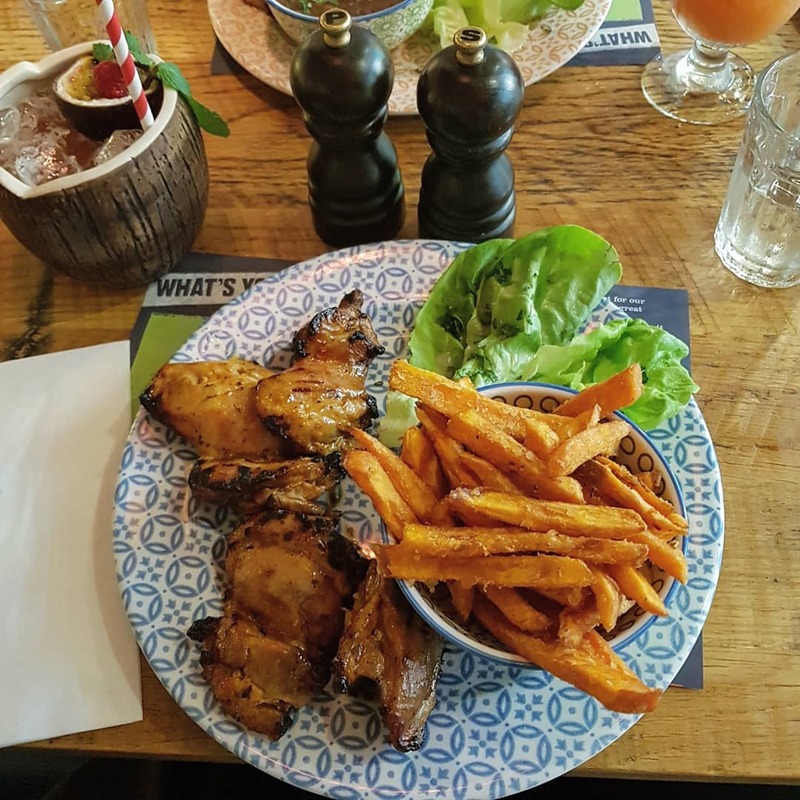 If you’re from Leeds or have visited recently, you’ll definitely be familiar with Trinity, the shopping centre which sits slap bang in the middle and has all the good shops, but what you might not know, is that it’s home to an absolute gem of a restaurant called Cabana. It’s a little further away from the other restaurants, towards Trinity Kitchen and the Boots end, but it has a whole other vibe compared to the other places to eat within the centre. I’ve been to Cabana a few times in both Leeds and Manchester (there’s one in the Corn Exchange in Manchester), and I’ve never been disappointed by the food. 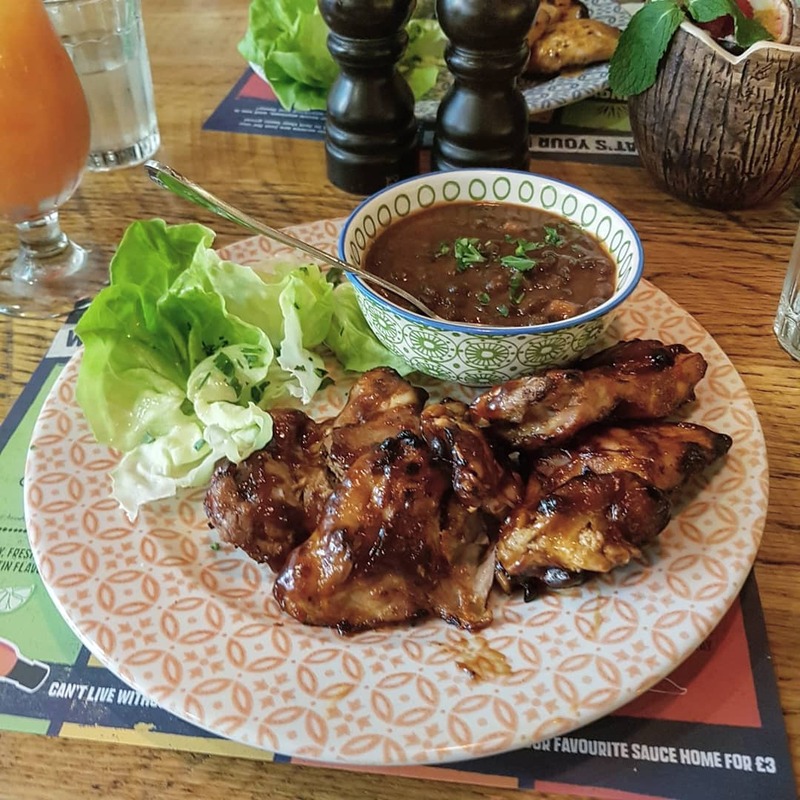 I was invited down to review their menu and it’s definitely a firm favourite of mine – and it’s good for a Deliveroo too. 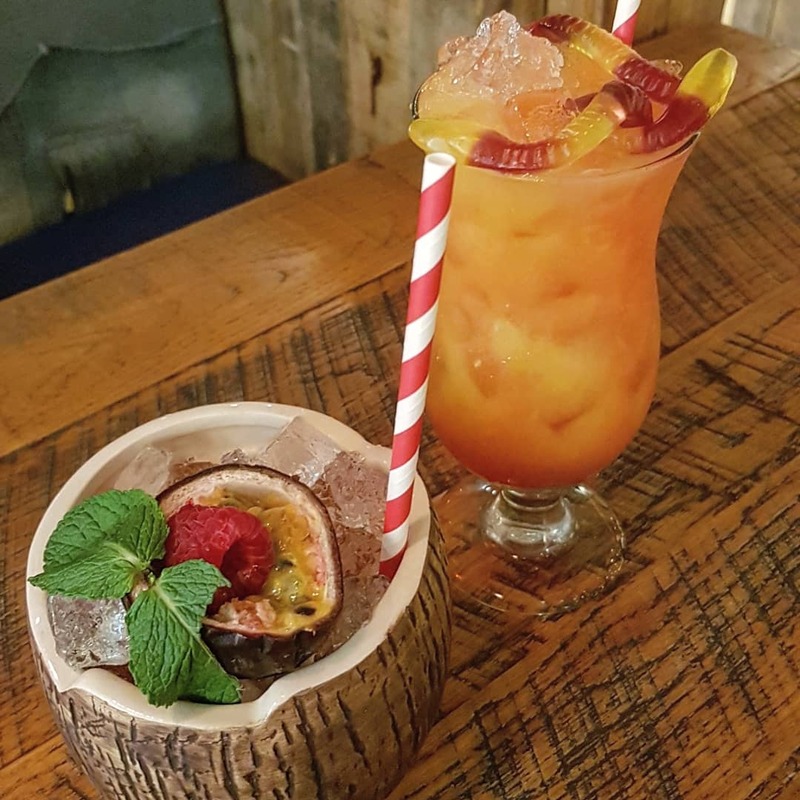 The restaurant in Leeds is divided between a bar area where you can pop in for drinks and small plates and the main restaurant. 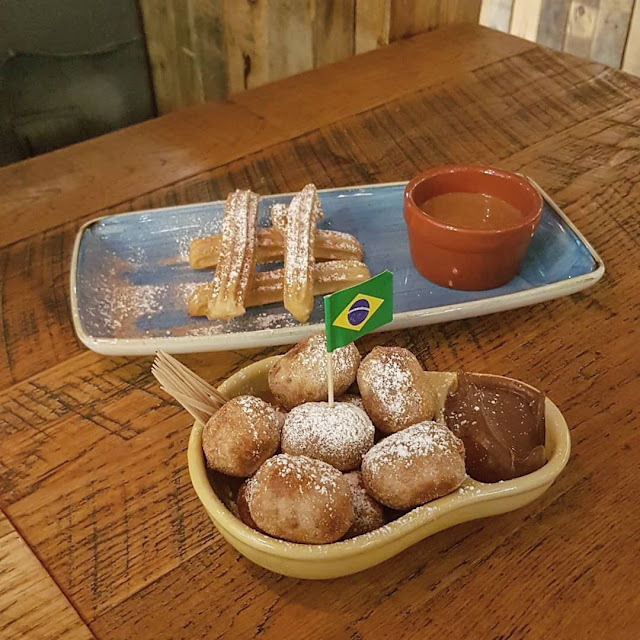 Cabana is Brazilian and has a street food feel but in a restaurant setting which I love as it’s very relaxed – definitely the type of place to head to for a casual evening. I went with my friend Maz and we went all in with three courses. 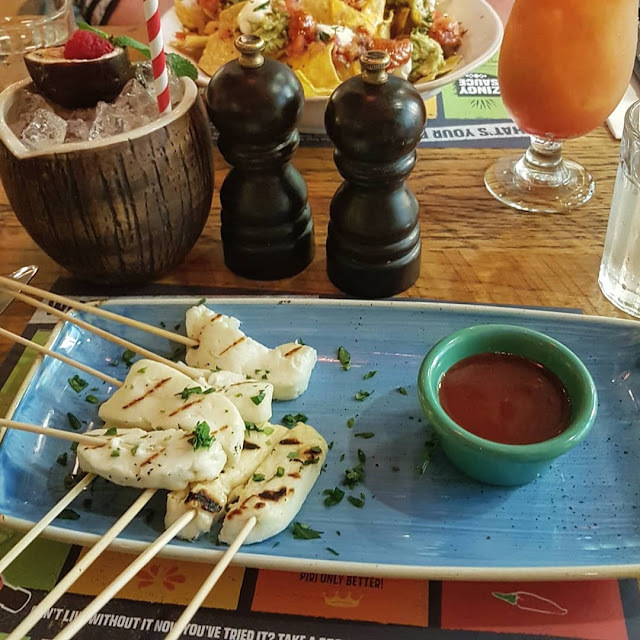 I started with nachos, definitely over-estimating how hungry I was when a massive bowl came out (there was easily enough for 2-3 people as a starter) and Maz chose the grilled halloumi, which again, was a sizeable portion. Both the starters were incredible, and I loved that the nachos were topped with the most delicious fresh guacamole and salsa. When it came to mains, we both went for flame grilled chicken. You can choose what type of meat you’d like, the type of sauce (guave-cue is the absolute best) and then a side so I went for blackbeans and Maz had sweet potato fries. Again, we were really impressed and the chicken was both tender and (dare I say it) moist. I love that there are some alternative sides like black beans as it’s something a little different that you wouldn’t normally get in a restaurant. For dessert, even though we were both incredibly full by this point, we couldn’t resist. I had the Nutella stuffed donuts and Maz had caramel churros. I was definitely overwhelmed when such a massive portion came out, especially with an accompanying pot of hot Nutella to dip in! I think I only managed about three, but I would 100% be back just for dessert. The drinks in Cabana are also really cool – they’ve got the quirky twist that makes them work on the ‘gram but they don’t compromise on the quality or taste. I went for a fruity cocktail complete with jelly snakes called Jungle Fever and Maz went for another fruity drink served in a coconut. 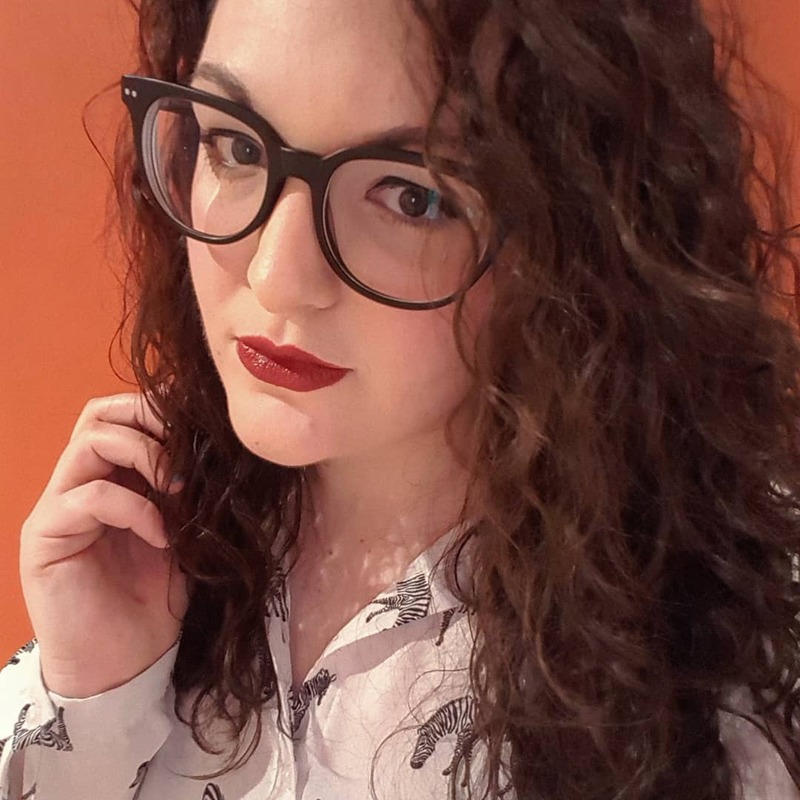 Overall? Cabana is still a firm favourite of mine and somewhere I’d definitely head back for the food, drinks, atmosphere and service.